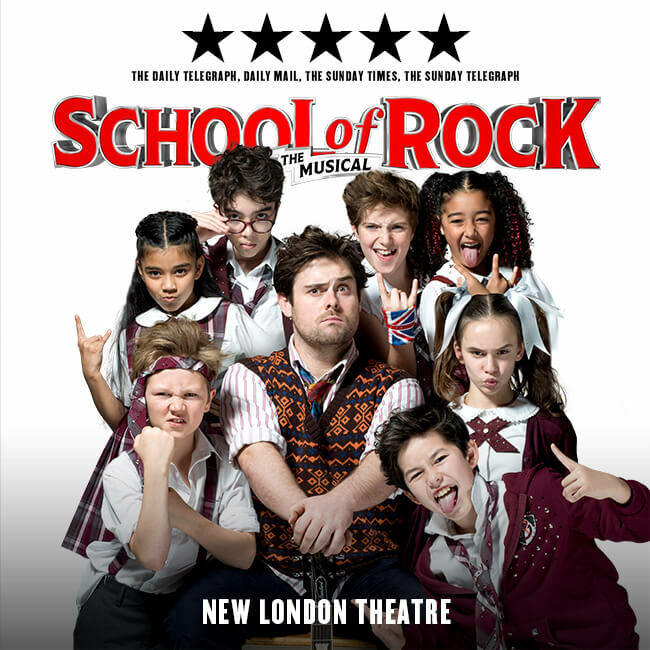 School of Rock at the New London Theatre, Drury Lane, London! Following its triumphant Broadway opening Andrew Lloyd Webber has announced that the West End production of School of Rock The Musical will open 14th November (previews from 24th October) at the New London Theatre. There he turns a class of straight –A pupils into a guitar-shredding, bass-slapping mind-blowing rock band. But can he get them to the Battle of the Bands without their parents and the school’s headmistress finding out?